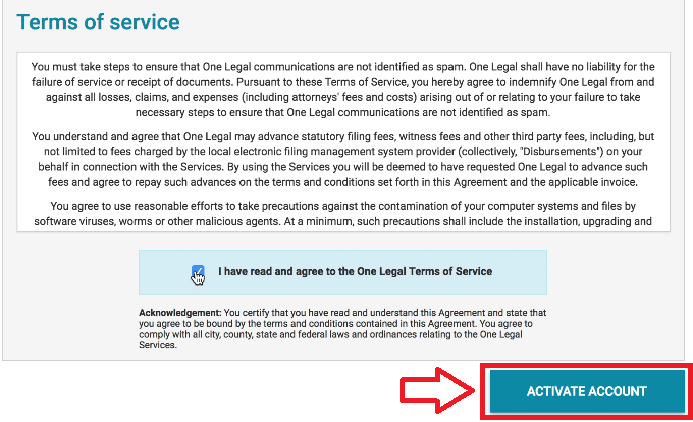 One Legal — How does an invited user complete the registration process? How does an invited user complete the registration process? As the firm administrator, you have the ability to add a user to your firm's account. Once you have done so, the invited user will receive an email with an account verification link. The user must complete the verification process in order to complete the registration. Once the user clicks on the link, he/she will be prompted to create a password. 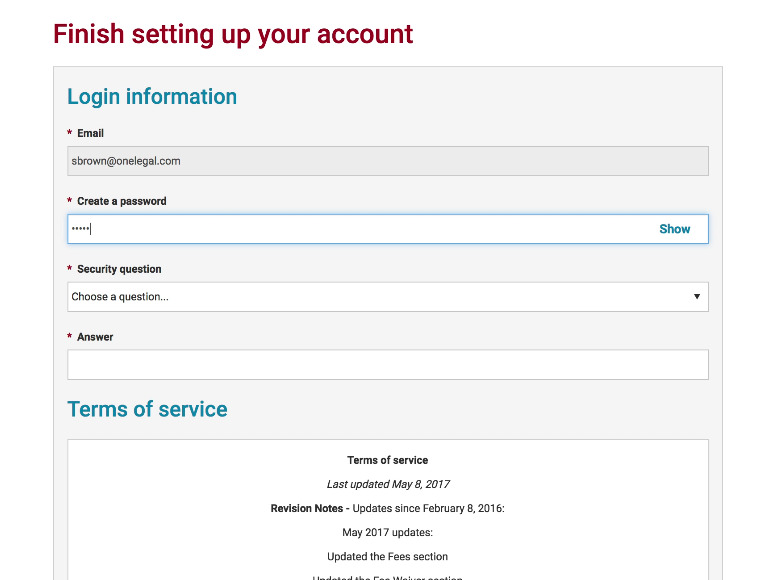 Once the user clicks the link to activate the new account, he/she will be taken to a page to finalize the registration process. The user will be prompted to create a password, select and answer a security question, and agree to the Terms and Services. After the login creation is completed, click Activate Account. The new user is now registered to use your account and may begin placing transactions.